Pier 4 is a prize venue for an active group of any size. Courageous offers a wide array of customized outings staffed by our professional instructors that are getting rave reviews. 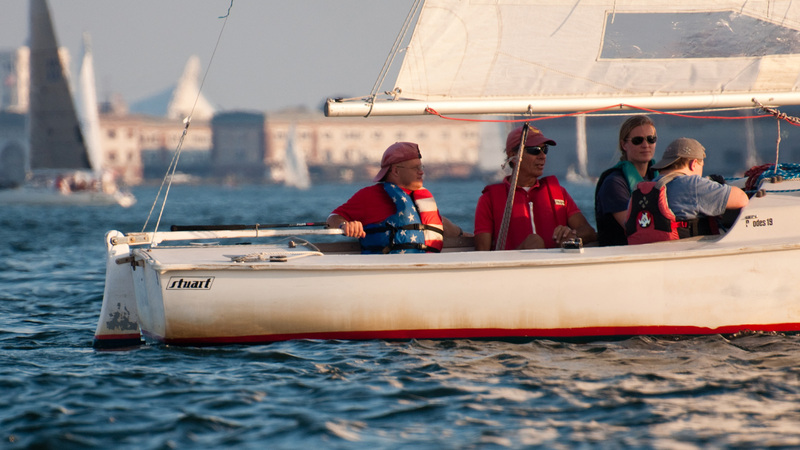 Designed to meet your specific needs, events at Courageous can include relays, regattas, or harbor cruises. 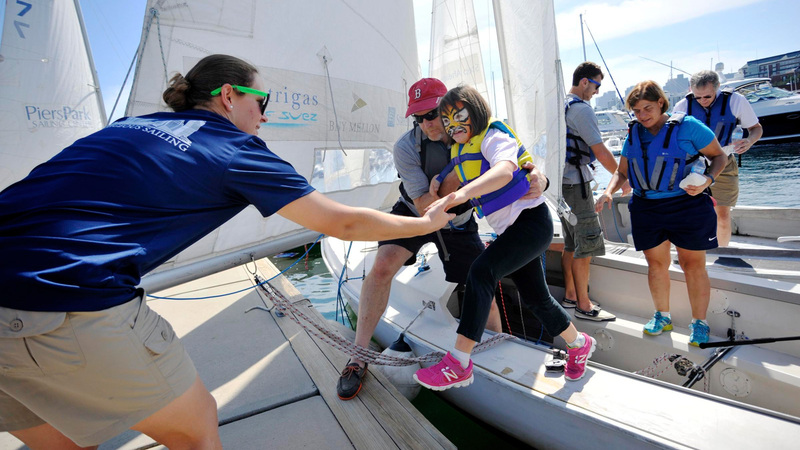 Corporate Events are a vital source of general operating funds for Courageous Sailing making it possible to open the sport of sailing to thousands of Boston-area kids and programs. Contact Caitlyn Ridgely, the Associate Director of Adult Programs for more information or to book an event. 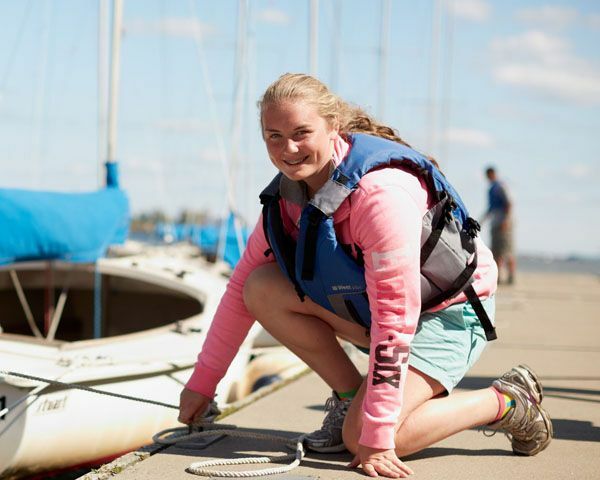 The Fun Regatta lets groups learn about sailing and racing, build a sense of teamwork, and enjoy some intramural competition. Your trip to Courageous begins with a quick welcome and an explanation of how a race works, before heading out on the water. Each boat will have a Courageous instructor aboard, to teach the team how to work together to control the boat; if you’re out on the water for more than two hours, each sailor takes a turn learning to steer, as well. During the last hour, everyone can put their new skills to the test in a series of short races. Usually, the team will take charge of controlling the sails while the instructor steers, but after a few races, everyone may get a chance to take the tiller. We’ll follow up with a casual awards ceremony at the end of the day, so that teams can claim their bragging rights. If you’d like to set up catered event or cookout afterwards, we’re happy to help you arrange it. 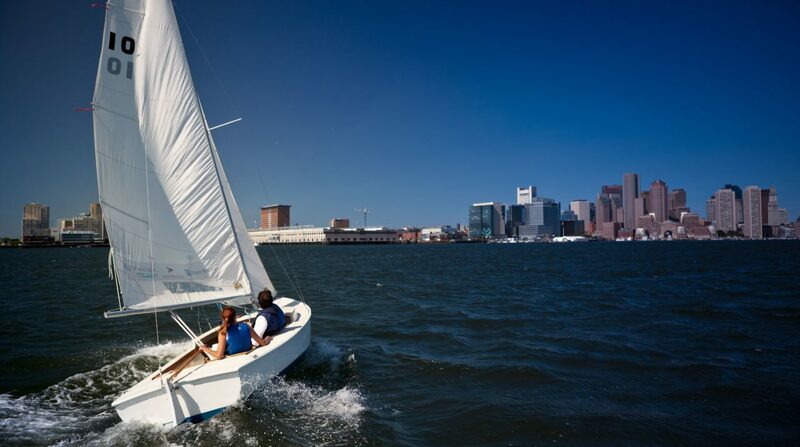 Set the sails and take in the skyline as you cruise past the city and out to the Historic Boston Islands on our J80s. With high booms, open cockpits, and a large keel for stability, the J80 makes for a fast and social sailing experience. As with all things in sailing, our Island cruises are dependent on conditions. This is the most casual type of outing. 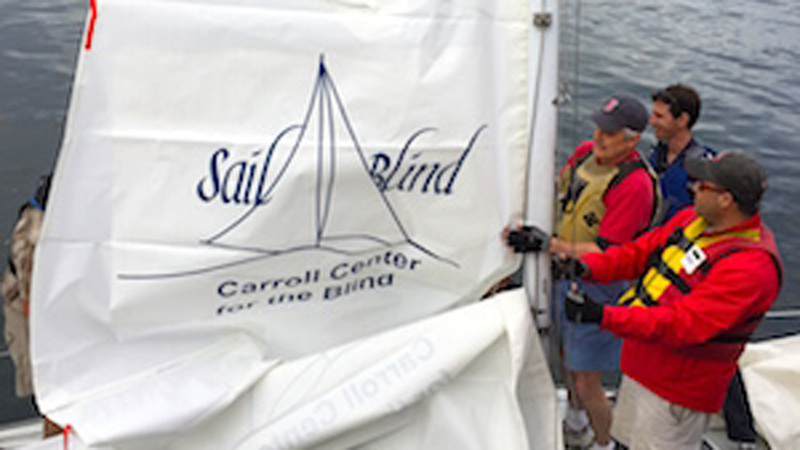 Participants can spend the day learning to sail or tour points of interest in Boston Harbor. A Leisurely sail is an option for groups big and small. Take a turn at the helm or just sit back, relax, and let us do the work.